This place is amazing!! The cupcakes are so rich but not too sweet. 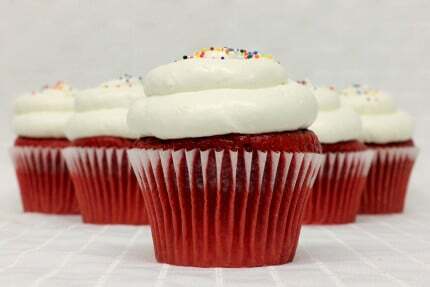 The lemon one is just divine but the red velvet is heavenly! And the cream cheese frosting is to die for!! I ordered here for my friend’s bridal shower and I can’t wait for people to try them!! On top of great products, the staff is friendly and the place is very clean! (They just moved to this new location). Highly, highly recommend. [Review] I love this place and the Elvis! I love this place my favorite cupcake is the Elvis: it is the perfect combination of sweet and salty. The cake part is so moist you can taste the banana and the peanut butter mouse cream is just the best, and the bacon adds another delicious layer. My whole family has their favorite cupcake my hubby loves the bag o cake. Totally recommend this place. [Review] Patty knows her cakes! Cupcakes too! “Best Birthday Cupcakes” to start – candied bacon on 1 cupcake – chocolate & potato chips on another – a banana split & my fav, lemon coconut with lemon filling! You must visit & try a few & to add to the adventure she makes a package called “bag’ o cake”…. need I say any more? [Review] The pina colada was delish! I went to this place because my friend saw it on Yelp, so why not? The place was not difficult to find and I love the bright colors inside the store, but there is limited parking. They have a nice display of product, but I would like to see more of the cupcakes. No cupcakes were on display because they make it as you order and as a customer you want to see what variety of flavors they offer instead of looking at pictures. The place is very clean and organized and the prices are reasonable. However, as far as the product we bought, some cupcake icing needs to be a bit sweeter, but the pina colada coconut cupcake was DELISH!! I want to come back and try other flavors, but the pina colada is the one I’m coming for. Every so often you just need a treat and Patty’s provides. I’m slowly working my way down the menu card – slowly because Chocolate fudge is my Kryptonite and I cannot resist. 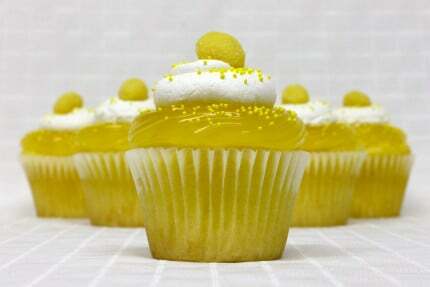 The Lemon Drop was epic with lemon filling and a lemon drop on top. Fresh and moist cakes make me happy. [Review] The staff were incredibly friendly and helpful! If you need a cake for a special occasion or if you just feel like treating the family to a special dessert, run, don’t walk, over to Patty’s Cakes’ cute new location on Commonwealth. I ordered 2 special 10″ two layer cakes for an impromptu engagement/wedding party – on fairly short notice, and was so pleased with the taste and appearance of the cakes. Patty was a delight to work with – I left the design of the cake up to her and was more than satisfied with the end result. All the staff were incredibly friendly and helpful. Their bakery case featured delicious cake balls …. and they served Thrifty ice cream and Illy coffee. 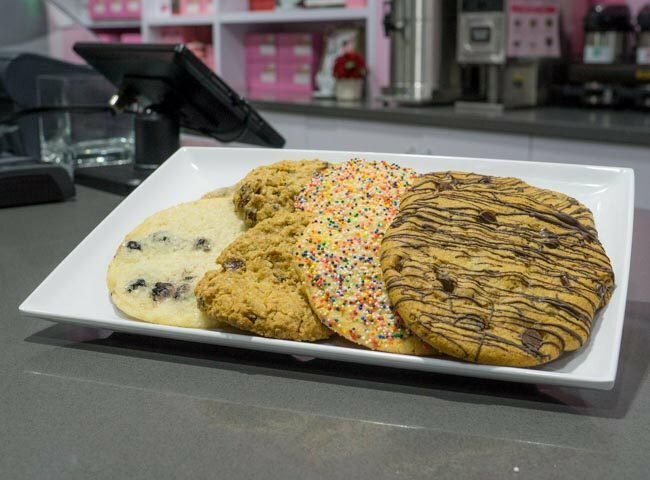 Stop by and treat yourself! It’s worth the trip over there. [Review] The flavors just keep getting better! I’ve ordered Patty’s cakes since Patty was making them from home, she made my kid’s first birthday/smash cake. Honestly, I have never been disappointed!! Recently I picked up cupcakes for my son’s baseball team. Let’s just say that they were an instant hit with all of the players!! I had parents coming up to me asking where I got them. The flavors just keep getting better!! 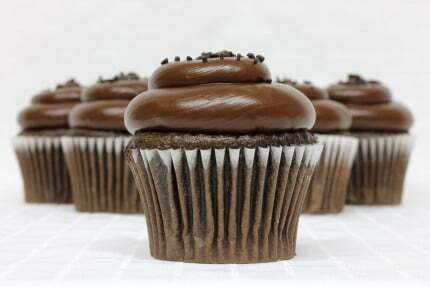 Looking forward to picking up more delicious treats from Patty’s!! Having ordered cakes from Patty’s on a number of occasions I can honestly say I have yet to have one that did not have the best quality. The cakes are flavorful and never dry. Most of all they are not heavily sugar-laden. Compared to other places I do not find them to be overpriced in fact, I find the prices to be fair. I find Patty the owner to be warm, charming and bent on making sure you get your money’s worth. In fact, she goes out of her way to make sure you are happy with your purchase. [Review] Excellent customer service and to die for desserts! This place is wonderful! Excellent customer service and to die for desserts! My kids who live in another country ordered 4 cupcakes for me for Mother’s Day. Did not know about Patty’s Cakes until then so will be stopping by to try out other flavors. My favorite so far is the Lemon Drop.